A little bit of cold weather and here we go again: the damn roads start falling apart. Not that they were much cop to start with. There’s a road that I have to take each day, driving into the arse-end of Langley. It has loads of pot-holes in it, which have been there for a long time. A bloody long time. After last winter, the council filled some of them in, but they didn’t do a particularly good job, because they soon appeared again. And, as the weather has worsened, so the holes have got bigger. It’s dead easy to spot the drivers who take this road regularly, like myself, as we know exactly where to dodge and weave to avoid the holes. I’m sure we must look like idiots, weaving from side to side as we drive up a perfectly straight piece of road. 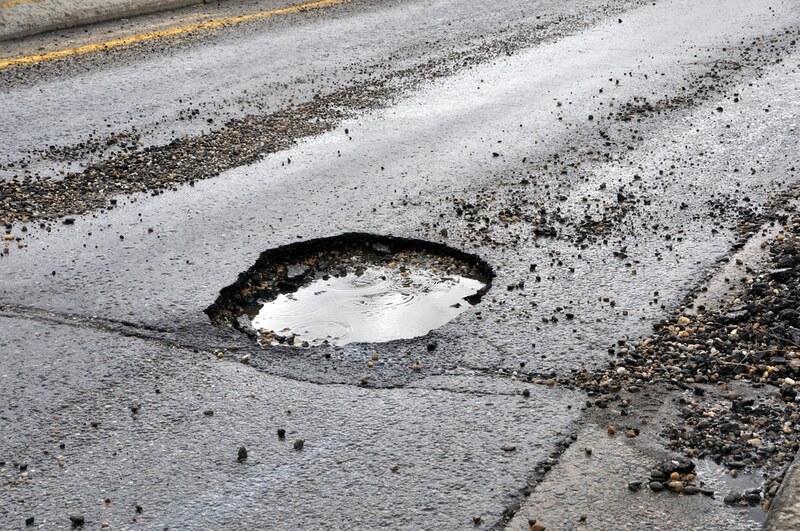 And a recent pot-hole has opened up on one of the roads that I take in the morning, on my way to the M1. In just a few days, it has become huge. I reckon a Renault Clio could drop into it quite nicely. But it’s quite safe, as the council have helpfully sprayed some square brackets around it. Have you ever noticed that when they actually get around to filling the holes they don’t know where they are because the paint has worn off. There are so many different colour lines on the roads & pavements down in this remote part of England that I thought Banksy lived here. By the way Masher, keep trying to get your blog to show up on Bloglovin, but it won’t – have you changed platform or something? No changes here, TA, that I know of. There have been a couple of automatic updates to the theme, but I wouldn’t have thought that would have affected the RSS feed in any way. God knows where halaf came from – should be half. I think Halaf sounds like some sort of Middle Eastern Potentate. Our Mayor, the administration of the nearest town and the government all look after different roads depending on location and size. (Motorways are looked after by Vinci who run the toll system and are an absolute joy to drive on). All in all they manage to keep the roads pretty pot hole free. and if one appears that is a bit too much for traffic to deal with easily thy will come straight out and sort it. 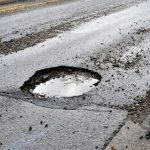 If I end up hitting one pothole a month I’d be surprised it was that often. We found some minor back roads in Carcassone that were a bit rubbish, but I agree that on the whole, the roads in France are much better than ours. And yes, the toll roads are a joy – hardly any traffic; never any roadworks (that we’ve seen, anyway). I’d wager that most of Europe has better roads than us. The roads are bloody atrocious – I was just saying the same thing t’other day. But not in the arse-end of Langley.